Editor's Note: This story was published on May 12, 2013. A beachgoer says he helped drag a live, 4-foot shark into the ocean after it came ashore in May 2013 on a Rehoboth Beach. The News Journal of Wilmington reports that Colby Beaumont used a smartphone to snap photos of the shark on Friday. 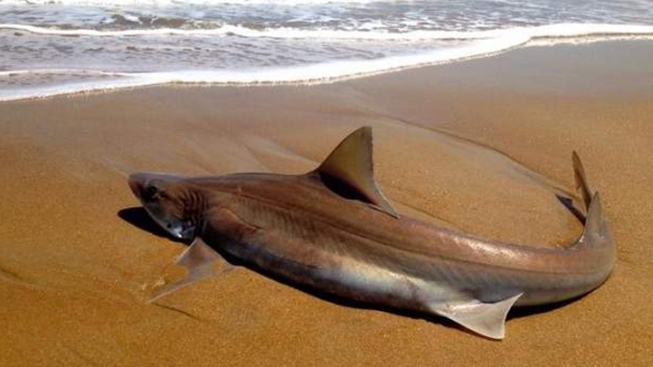 State environmental officials looked at the photos and told Beaumont that it looked like a smooth dogfish shark. Beaumont says he saw the animal emerge from the surf and scoot onto the sand. He tried to get the shark back into the ocean, but it was too heavy. Another beachgoer helped him drag the shark by the tail and get it back into the water, and it swam away. "It swam away. We made sure it didn’t come back up," Beaumont said. Click here for more strange news stories from NBC10.com.